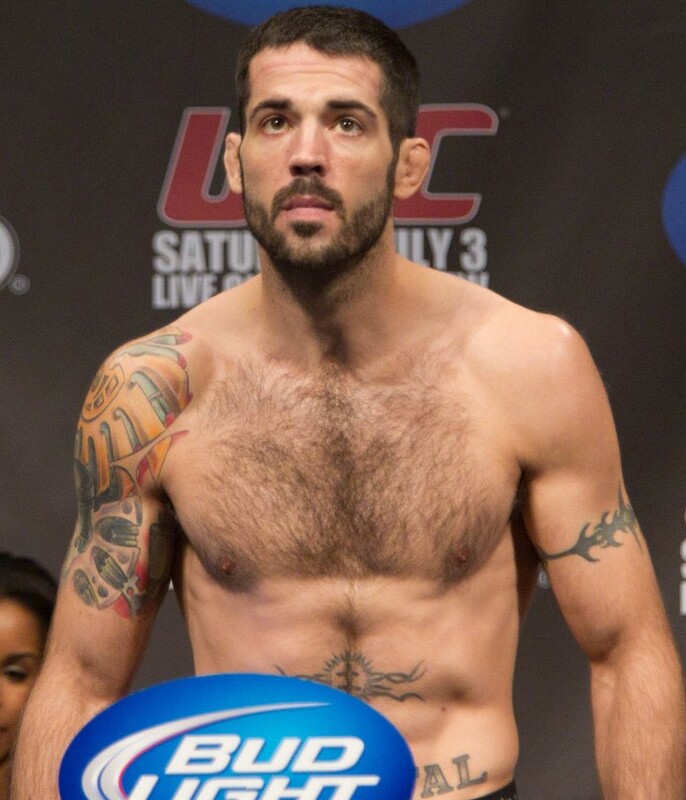 Matt Brown put on a show Saturday night. “The Immortal” beat Erick Silva in an insane fight with a 3rd round TKO that had fans on the edge of their seats. He’s as exciting as any fighter on the roster and his fan base is booming because of it. After the win, he again announced that he’s ready for a title shot. But does he deserve a title shot? Brown’s win makes a total of seven in a row, and he’s won four bonuses in his last three fights. But it doesn’t take much research to see that none of them were against top 10 opponents. Silva was ranked #14, and believe it or not, that’s the highest ranked fighter Brown has ever defeated. In fact, Silva may be the only ranked fighter Brown has ever fought, period. He’s beat some young studs like Stephen Thompson and Jordan Mein. He’s beat some tough guys at the tail-end of their careers like Mike Swick and Mike Pyle. And he’s beat some guys who didn’t last long in the UFC to say the least, like Chris Cope and Luis Ramos. In my eyes, it seems like a poor decision to move Brown past any of the top challengers in the stacked welterweight division without beating any of them. Lawler, MacDonald, Woodley, Condit, Ellenberger and a couple others all have key wins at the top of the division. Brown doesn’t. I would think he’ll get a tougher test next time for sure. Maybe Hector Lombard. Even with a win, I don’t think he’s next for Johny Hendricks. In a way, this is a good test to see what the UFC chooses to do with a title shot when there are multiple worthy challengers. We’ve seen how they handle challengers in the LHW division with kid gloves—but that’s a division quickly running out of legit contenders. Welterweight is arguably the strongest weight class in the company. Will they give the shot to a guy who’s been an established contender and continues to fight top 10 fights? Or will they take entertainment factor into account? If it’s the latter, Brown has a chance to sneak in there. Basically it comes down to this question: Can you contend for a title without ever beating–without ever fighting–a ranked opponent? My answer has always been the same: I don’t think so.